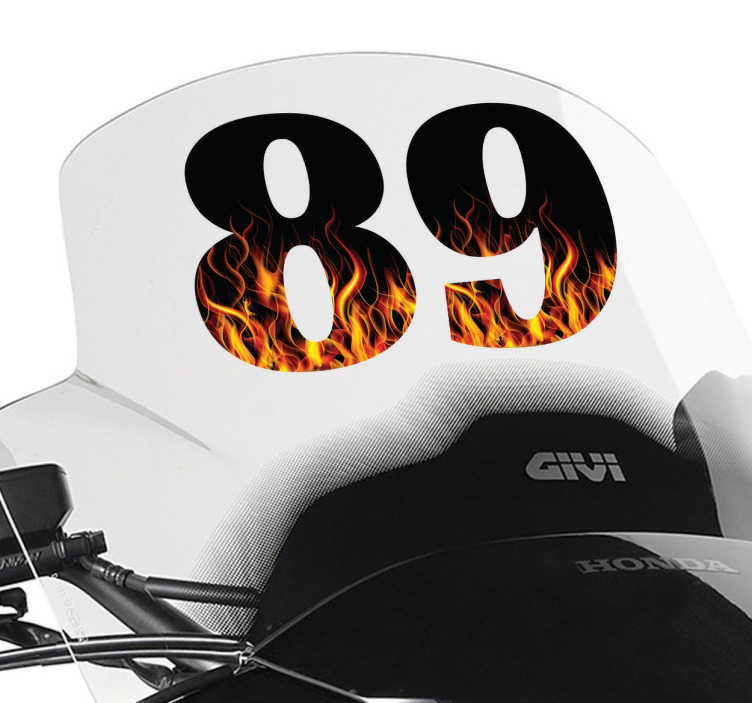 Spectacular collection of numbers to decorate your bike with a fiery effect. Great decal from our number wall stickers collection to give your bike a cool effect. Stickers with from zero to nine so you you customize your motorcycle helmet or any part of your bike. Give an original and warm air to your usual vehicle with this sticker. The indicated dimensions refer to the set of numbers. The smallest is about 5.5 cm.Easy to apply and remove made with anti-bubble vinyl.